Learn about what you can do to manage termites yourself! 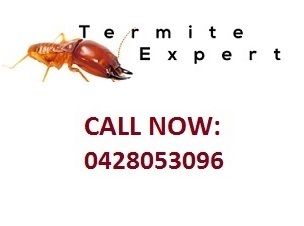 As a world first, Termite Tutorials offer an online tutorial video program that is complete with sixteen videos. These videos cover subjects such as how to identify termite activity in your home, how different treatment and prevention methods work, environments around your home that attract termites and how to address these and many more. • Can you hear termites eating at night? • Do termites die if they are exposed to the sunlight? • Can termites eat your roof in a week? • Is it true that termites don’t attack healthy tree? • Is it true that termites won’t attack a brick house? In our face to face course at Macquarie Community College, we will demystify many of myths and mysteries surrounding termites and answer any questions you may have. You will learn how to identify the workings and damage caused by termites, how to reduce the risk of infestation, we will even bring live termites so the students can study their natural behaviours. We also cover tips for dealing with some other pests such as wasps, cockroaches and spiders. If this sounds like something you would like to do, go to the Macquarie Community College website and enrol yourself as the class fills quickly! Brad, is a fully licensed pest controller with more than a decade of experience in the pest control industry. He manages his own pest control business specialising in termite management and has an Honours degree in Total Quality Management, a Pest Management Technician Qualification and a Degree in Mechanical Engineering. He also enjoys sharing his knowledge through public speaking at business groups and similar events. Brad blends his technical knowledge of termites and other pests with his own personal experiences as a local homeowner into an extensive, informative, short workshop in his area of interest and specialisation, pest control. Brad’s entertaining nature ensures that even this dry subject keeps the students engaged for the full 4 hrs.